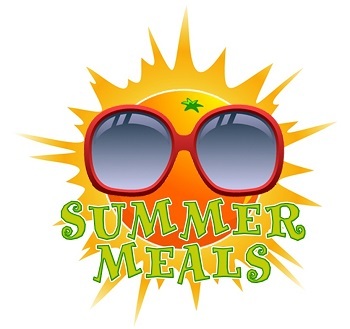 Artesia’s Summer Food Program is back! Thanks to the Changing Lives Coalition, Artesia children through age 18 can have a hot, home­-cooked meal at no cost five days a week now through Aug. 4. The program will be hosted by the Artesia Center, 612 N. Eighth St., from 11:30 a.m. – 1 p.m., Monday­-Friday, and the food will be prepared on­site by the Changing Lives Coalition staff. Hungry diners over age 18 are also invited to join in and can purchase a meal for $4. This program isn’t new to Artesia — it previously ran until 2002 and was started up again last summer by the Changing Lives Coalition. At that time, the program didn’t have a home, and the staff prepared meals on an outdoor grill for several hundred kids each day during what many of us remember as one of the hottest summers ever! They only had funding to serve meals for one month last year, but this year’s program has been fully funded by the New Mexico Children, Youth and Families Department. The program is underway, so go check it out — it’s a chance for kids to get a balanced meal at no cost and for the rest of us to support a great cause while enjoying a good meal — a win­-win situation for all of us. Volunteers are very much welcomed — call 736­-7024 to get set up or for more information. The Changing Lives Coalition would like to express their appreciation and gratitude to Luis Reyes and his staff at the Artesia Center. For the remainder of the summer, the coming week’s menu will be published in each Sunday’s Community Living section of the Daily Press.